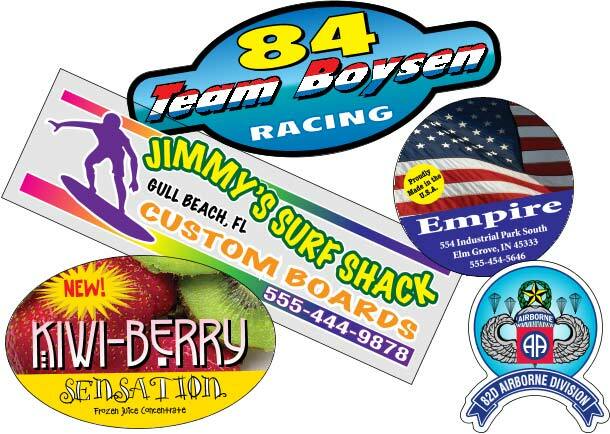 Full Color Decals are an essential part of any marketing plan. Sometimes called 4 color or Four Color Process decals, these decals are designed to grab your customers attention while giving a very clear view of your products or services. Use 4CP Decal to give a special feel of success or elegance to your business. We can print four color process on many different material types, we now even standard sizes of full color print to save you money. We can print they 4 Color process decal on digital or screen printing presses dependant on size, material and quantity of the decal ordered. Shipping: Most Full Color are shipped in 5 Business Days!